From the Iron Age you’ll travel through the Viking Age and Middle Ages to present time. You’ll start the camp living 3 days in a reconstructed Iron Age environment. After this the lodging will be more up-to-date (hostel-like). You must be interested in history and nature. You must be prepared to feel on your own body how it was to live in the Iron Age and how to row a Vikingship. 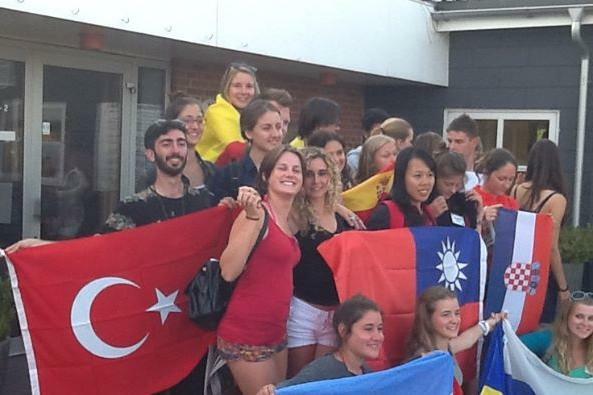 The camp will give you an unforgettable impression of Danish nature and culture.Please, study the program carefully! “Hærvejens Lejrskole” Hammervej 20 Hammer, DK 7160 Tørring. Max 2 participants from each country. 20 boys/girls in all. Travel-costs to and from Billund Airport or Vejle Trafficcenter (Railwaystation), pocket money, insurance and camp-fee of 70 Euro or 500 DKK. Not later than May 1st– 2018.